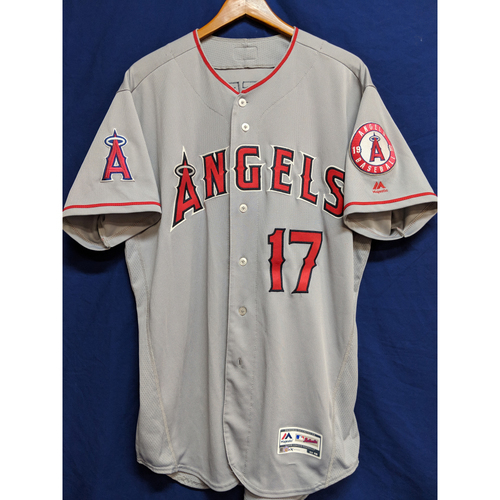 This Jersey was custom made For Los Angeles Angels Pitcher, Designated Hitter and 2018 American League Rookie of the Year for the 2018 season. 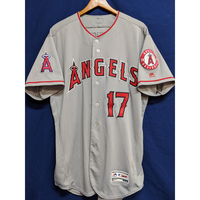 This Jersey was used on the August 18th 2018 Game in Arlington against the Texas Rangers. 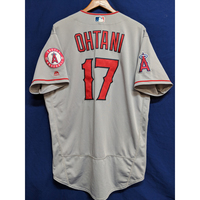 In this Game Ohtani would hit a 3 run homerun, his 13th of the season, in the 7th inning off of Eddie Butler, helping the Angels in their 11-7 victory over the Texas Rangers.